Send this elegant 1920s styled save the date card to your guests so they can mark their calendars for your wedding. When you do have all your wedding details ready, send out these matching invitations and rsvp cards. 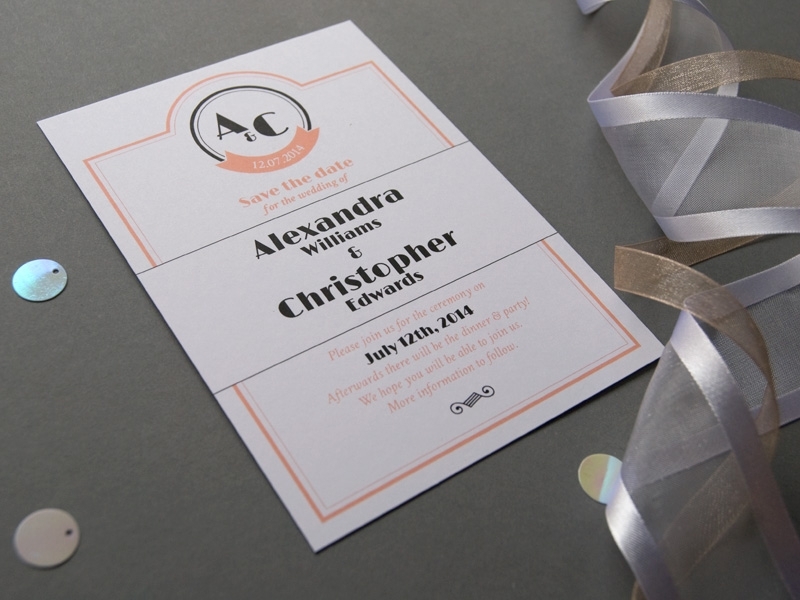 These paper goods are a great way to create a visual theme for your wedding.